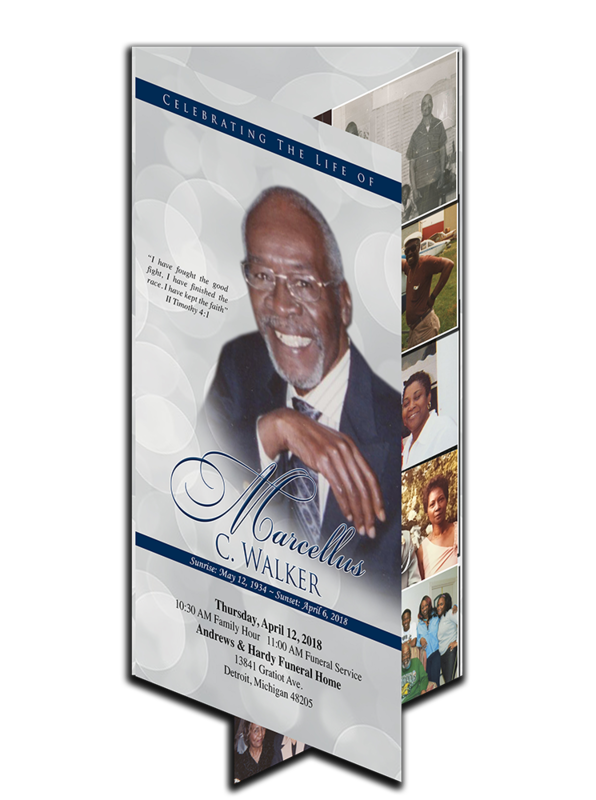 We design and print low cost custom funeral programs. Losing a loved one is often a very stressful and confusing situation. 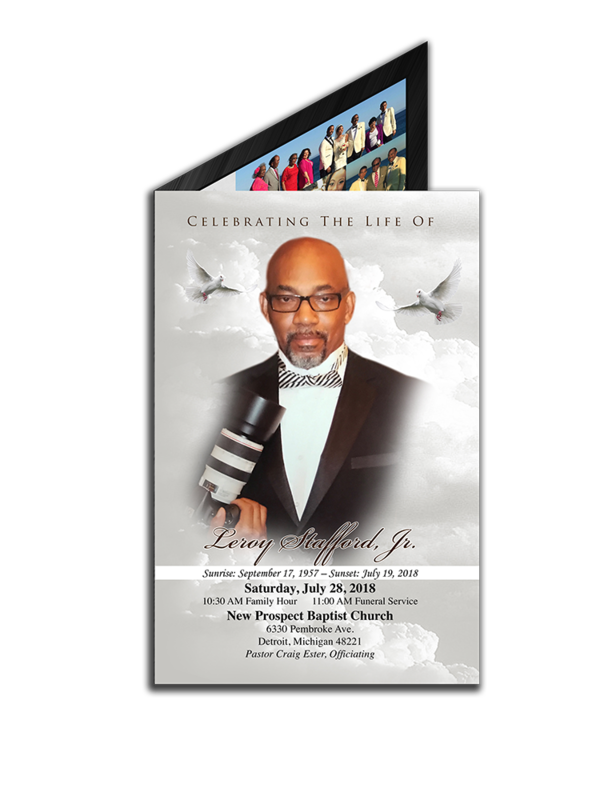 In most cases, the funeral program is the only keepsake most people will have after the services and you only get one chance to get the job done right. Beyond being part of the memorial service, the funeral program documents the family tree and other historical information. 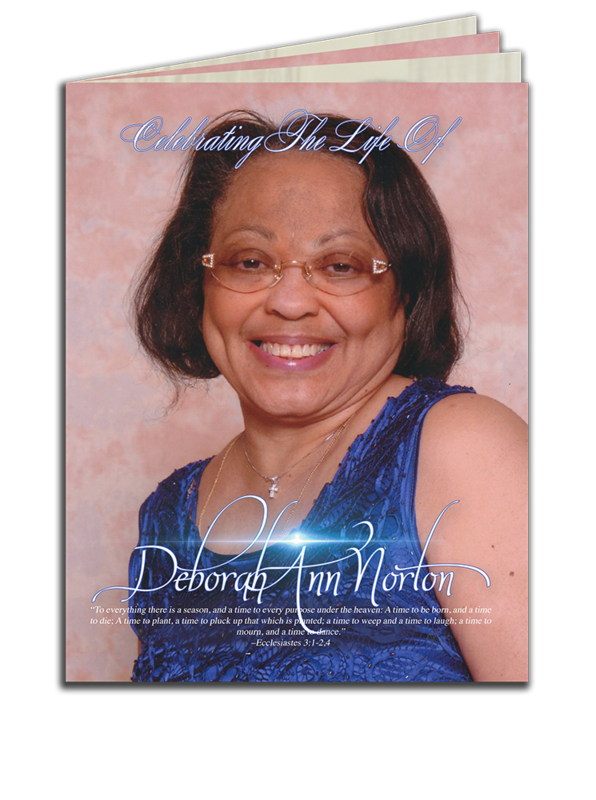 We assist families in all aspects of organizing the order of service, composing the obituary and photo selection. Our team of trained professionals has helped hundreds of families nationwide save time and money during their time of need. For a fast, yet affordable funeral program you’ve come to the right place, The Obituary Place! We pride ourselves in assisting you in your time of need. 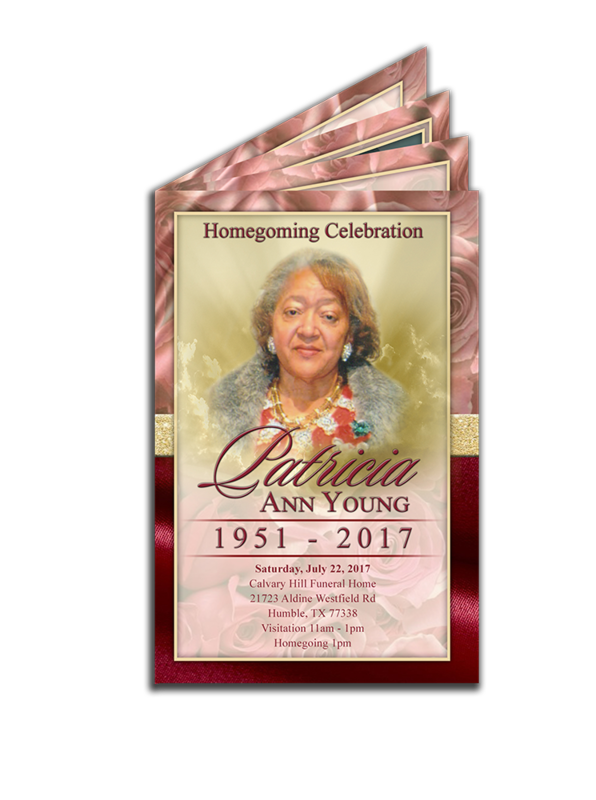 We are committed to providing a timely, courteous and respectful service to make the planning of a Homegoing for your loved one a smooth process.